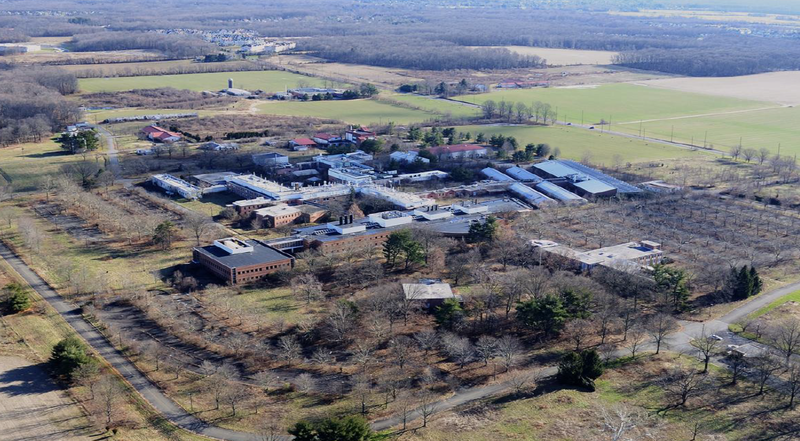 One of the most significant redevelopments in the Princeton area moved a step closer yesterday as the Howard Hughes Corporation announced plans to seek a special planning process for their land holdings at the former American Cyanamid site in West Windsor. In an email communication, Howard Hughes announced their intention to use New Jersey State law to have the site designated as an ‘Area In Need of Redevelopment’. West Windsor Council would remain in charge of the planning process, and zoning would not be altered by this designation. However, the reclassification would open the door to a dialog between the developer and township authorities about how best to redevelop the site. Perhaps most significantly, the redeveloped property would pay a ‘Payment In Lieu of Taxation’ (also known as a ‘PILOT’) instead of regular property taxes. The sum paid would be agreed with West Windsor Council. In theory, West Windsor could retain a much larger sum from a PILOT payment than from regular property taxes. This latest plan has been described in detail at the website that Howard Hughes Corporation set up to publicize their plan. The company has been engaging in a ‘listening exercise’ involving local community members. On September 22, they made a presentation to West Windsor Council about their plans. Their website now includes comments that they received from members of the public. Howard Hughes Corporation seems to be genuinely interested in building something great at the site. We’re watching carefully to see if the redevelopment will bring an opportunity for placemaking, walkability and Smart Growth- or whether it will add to the roster of fairly mediocre redevelopments and car-oriented sprawl that is sadly all-too-common in Central Jersey. If it takes as long as the West Windsor Transit Village to get done, we won’t be surprised if we’re still talking about this plan for many years to come. What’s your take on the American Cyanamid site? Do you trust the developer, or West Windsor Township Council, to get something good built there? Let us know with the comments form below! This entry was posted in Local, Placemaking, planning, Princeton, Real estate, Smart Growth, Sustainability, Traffic, Transit, Zoning and tagged Central Jersey, howard hughes corporation, planning, Princeton, route 1, smart growth, West Windsor. Bookmark the permalink.